Speaking of aged beknighted idols of the British Invasion who have engaged in dicey songwriting practices, as I started to do in my last post about Mick Jagger, the fact that the Library of Congress has presented Paul McCartney with the Gerswhin Prize led me this week to review Sir Paul's vast output as a composer, and I found something baffling in it. As background, I should point out that McCartney has been jockeying for some time to reverse the order of the songwriting credits—from "Lennon and McCartney" to "McCartney and Lennon"—for Beatles songs that McCartney wrote solely or mainly on his own. In fact, on his 2002 live CD, Back in the U.S., the credits for all the Beatles tunes read "Paul McCartney and John Lennon." He has made clear, moreover, that he would prefer to have Lennon's name removed entirely from the credit of "Yesterday," because he composed it alone. Vanity aside, there's a principle behind this seemingly petty retroactive maneuvering: that credits should properly reflect the realities of authorship, not just the terms of a publishing agreement. Misrepresentation demeans the creative process by reducing it to mere business. Looking again at some of McCartney's solo albums and Wings records, I noticed that the songwriting credits on several—including the ostensible McCartney solo masterpiece Band on the Run (the title song of which Dave Grohl performed at the White House tribute to McCartney on Wednesday)—read, simply, "McCartney." No first name. Looking further on the web archive of the Library of Congress, which administers the Gerswhin Prize, I was stunned to find that all the songs on Band on the Run—as well as dozens and dozens of other songs, most of which we think of as Paul McCartney's tunes—were registered to Paul and Linda McCartney. Two first names. 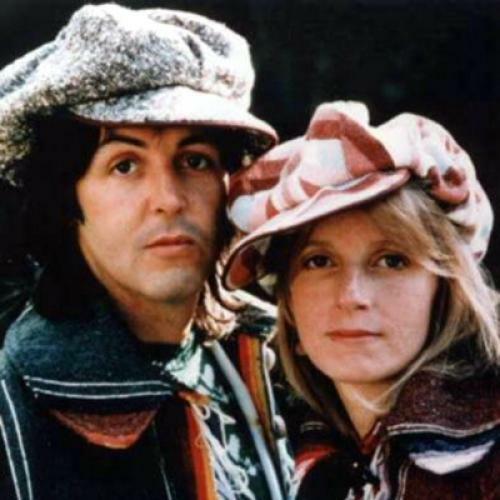 Here are just a few titles that Paul claimed that Linda cowrote, providing her formal, legal credit as co-songwriter as well as the right to financial compensation for her work as a collaborator: "My Love," "Bluebird," "Dear Friend," "Jet," "1985," "Letting Go," "You Gave Me the Answer," and "Tomorrow." What, I wonder, did she contribute to those songs? More than her presence as an inspiration, I hope, since John provided as much to Paul during the era of "Yesterday." More on this next week. If you need me in the meantime, I'll be in the archives.